We have a larger network, with less fees. If you want to know where all of the MoneyPass ATMs are in your area, they’re easy to find. 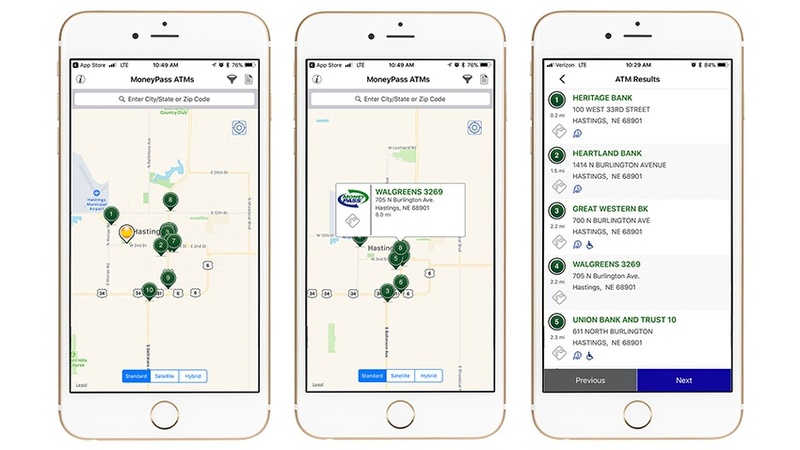 Go to the MoneyPass website to search for the nearest ATM near you or use the MoneyPass mobile app to find locations when you’re on the go. The app is available in both the Apple App store and Google Play store. Simply open your store and search for "MoneyPass ATM Locator" to download the app. *Customers will incur a foreign ATM fee of $1.50 if the ATM isn't owned by Heartland Bank. All Heartland Bank ATMs are listed above.